Politicians and think-tanks have bold new plans to make raising kids cheaper, easier… and fun? Ten years ago, the Wall Street Journal interviewed daycare operators around the country to compile a list of tips and tricks for getting your child a coveted spot in their programs. They listed eight steps for success, but the most important is registering for multiple waitlists at least a year, if not two, before you need care. You read that correctly: you must sign up for daycare before your child is conceived. For each of those waitlists, parents pay non-refundable fees that can exceed $200 and don’t even guarantee a spot. Why is finding care so costly and difficult? It’s because high-quality child care centers are few and far between. The center-left think tank Center for American Progress estimates more than half of American children live in areas with fewer daycare spots than children. This scarcity means parents lucky enough to land a spot often pay over $10,000 a year. Low-income parents are locked out and must forgo the jobs they need to support their families or send their children, sometimes only weeks or months old, to low-quality and often unlicensed care providers. The latter choice can end in tragedy: children die each year at cheap, nearly unregulated, and sometimes illegal home-based child care centers. In the past month, children died in both Jacksonville and Oklahoma City from Sudden Infant Death Syndrome brought on by improper sleep techniques. Without proper training, vetting, or support, home care operators take on the immensely difficult and stressful work of care for long hours and low wages. America’s byzantine system of care and support tears parents away from their child’s first few months and makes good, long-term care nearly impossible to find. Recently think tanks and politicians have rolled out responses to the American crisis of care. The differences between plans illuminate tensions between work and family as well as varied conceptions of gender equity and feminism. Most of these plans come in the form of data-driven reports or affectless legalese. Two of them, however, paint a different picture. Senator Elizabeth Warren, who is promoting herself as much as her policy, embeds her pitch in personal history. 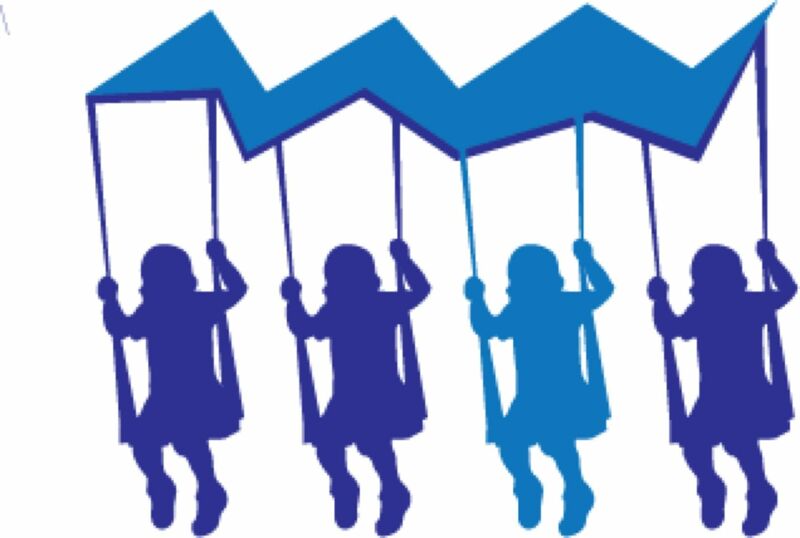 And over at the People’s Policy Project, the Family Fun Pack’s simple and well-designed website makes the argument that family policy is a means to reduce suffering and increase fun and fulfillment. Congress has neglected care for decades, leaving parents to navigate a confusing patchwork of benefits untouched since the 1990s. The last push for comprehensive reform was in the ’70s; looking at why it failed can help us understand why nothing has succeeded since. In 1971, President Nixon vetoed universal daycare. Despite a wide array of supporters and an easy majority in Congress, Nixon, under the coaching of right-wing paleocon Pat Buchanan, cast the program as an immoral, communist plot to remove “the family… [from] it’s rightful position as the keystone of our civilization.” The veto was part of efforts by a newly ascendant Right that mixed racism, religion, and big business in service of dismantling the New Deal. In blocking daycare, right-wing politicians sought to reinforce a patriarchal economy that allowed white men the benefit of their wives’ unwaged labor at home and the cheap labor women of color as domestic and service workers outside of it. The legacy of Nixon’s decision, and the movement that supported it, culminated in Bill Clinton’s infamous promise to “end welfare as we know it.” Despite a brief digression that created a system of unpaid leave for about 60 percent of Americans, Clinton oversaw a decimation of the programs that support parents. Clinton signed major welfare reform in 1996 that claimed to restore “dignity” to work by cutting cash supports and encouraging employment. Its effect was to punish children. Different paths were available: across the Atlantic, Tony Blair’s administration in the UK cut child poverty in half with a universal child allowance. In America rates held steady at 20 percent through the Great Recession. A few tweaks in the tax code since then have dropped the rate to 12 percent, still double countries like the UK and Sweden. That’s where we stand today: a paltry system of leave, impossibly expensive daycare, and little in the way of cash-support for poor and single-parent families. Last month, Elizabeth Warren called for making universal childcare a right. Her plan envisions a nationwide system of affordable childcare centers paid for with federal funds and enforced to high federal standards. Using the money from her ultra-millionaires tax, Warren’s plan ensures free care for families with incomes up to 200 percent of the poverty line (around $51,000 for a family of 4) and a cap at 7 percent of income for richer families. Care-workers, often in precarious positions, will see massive salary increases—a move proponents have long deemed necessary to raise care quality. Warren’s plan acknowledges the dual role women play as mothers and workers by focusing on the way policy affects both parents who need care and those who will provide it. If her plan becomes law, all Americans will, for the first time, have genuine and easy access to good child care. It will increase children’s quality of care, prevent tragic deaths, and improve the lives of millions, especially women. The details of Warren’s plan evince her long history as an advocate for women. In the ’90s, as a Harvard Law School professor, Warren argued in Congress against Wall Street-backed bankruptcy reform. The fight showed the Senator’s keen eye in understanding how even seemingly esoteric laws affect women. In the Harvard Women’s Law Journal, Warren attacked Democrats who supported the bill because bankruptcy reform “will fall hardest on women, particularly on women trying to rear children on their own… [it] will make it more difficult for millions of women to keep their homes, feed their children, and deal with bill collectors.” Because women are poorer, more likely to rely on alimony, and more likely to be a single-parents than men, bankruptcy laws burden them more. Warren looks at issues—like affordable housing or monopolistic businesses run amok—and works to understand why they occur and in particular how women are affected. It is an extremely powerful approach and it pays dividends in other ways when she, for example, approaches the issue of housing from how it affects people of color. She arrives at a political philosophy not from abstract principles, but from understanding, and trying to fix, the pain points of her own life and the lives of her constituents. This political ideology helps explain why Warren, alone among 2020 candidates so far, made the critical issue of a childcare a central part of her candidacy. She begins her plan by describing how stressful it was for her to return to work after giving birth, the challenges of finding good daycare, and her eventual breakdown over the phone to her Aunt Bee back home. Aunt Bee moved in for 15 years to help raise the kids, but, as Warren always says, not everyone has an aunt to call. After telling a story about her own mother’s struggle with single motherhood and work, Warren told an audience in Jackson, MS, “For a long time I used to think that was just a story about my mother,” but “years later I came to understand that it's the story of millions of Americans.” This rhetorical move that translates women’s lived experienced into policy runs through Warren’s candidacy. The reason Warren, and millions of women, were forced to turn to aunts and friends for care may be because our economic and political systems are “rigged,” as the candidate says. But her response is to unrig those markets, not dismantle them. When Warren calls herself a “capitalist to my bones,” as she did last summer, this is, perhaps, what she saying. Over time her prescriptions to fix capitalism have grown bolder, from proposing new bank regulations in the ’90s to calls for breaking up the banks and jailing their CEOs after the 2008 crash. But she still believes that, with enough modification, capitalism can work for all. It is both her strength and weakness: The capitalist to her bones understands why housing is so expensive. From there she writes a plan that attacks the issue head-on, from the legacies of legalized segregation to the nitty-gritty of parking reform. Yet, she neglects using public housing to ensure every American has a home. Warren is a consumer advocate at heart and her policy works that way by helping people buy the necessities of life in a market that actually works. Warren’s daycare plan reflects and is circumscribed by this approach. Right now, low-income parents are stuck in a double-bind: If they cannot afford care they must stay home and care for their child, further reducing family income. Women—and it is mainly women—often forgo paid labor for the five years after birth until their children can attend public school, America’s de-facto childcare system. The lost promotions and wages from this period constitute the “maternity tax.” Warren’s plan eases this burden by giving women a cheap or free option for care and allowing them to return to the workforce sooner. Here, Warren enters into the longstanding debate on the Left about the meaning of equality. Her plan encourages women to work outside their homes in part by making home care less financially viable. But what does equality look like? For some it is women’s unfettered access to the formal workforce. But for others it is when women are able to choose if they wish to be compensated for their labor inside or outside of their homes. The issue scrambles ideological lines. Radical leftist welfare activists in the’70s pushed the “Wages for Housework” campaign, asserting that the work of caring for children at home should be compensated like any other form of labor. The movement for home care allowances has also found support on the right. Conservative think tanks and senators push childcare allowances to reinforce traditional family structures. Warren’s exclusion of care wages aligns with with a popular liberal view that equality means more women in the formal labor market. Interestingly, Warren took the opposite approach in her 2003 book, The Double Income Trap, arguing that stay at home mothers played a critical role and should be supported alongside expanded daycare. Warren’s change on this issue, and her focus on women as workers, perhaps suggests her inability to articulate a vision of family policy that rests on values outside of the market. The People’s Policy Project, a socialist think-tank, approaches care from a different perspective. Their program centers improving children’s quality of life and making parenting enjoyable. Their cheekily named Family Fun Pack (FFP) calls for a “comprehensive set of universal family welfare benefits with the goal of making parenting easy and affordable for everyone.” The tone and name illustrate the views of Matt Bruenig, the FFP’s author. He believes the welfare state is not a wonky abstraction, but a central tool for improving Americans’ lives. Put simply, the Family Fun Pack asks how much better parenting could be if financial and logistical stresses were alleviated by good policy. In a conversation over email, Bruenig told the College Hill Independent that “the goal of social programs should be to make people’s lives better. One way to do that is by providing them resources. But another way they can do that is by eliminating hassle and complication, which chews up people’s time and stresses them out.” The plan’s design reflects this. Instead of shopping around and researching the federally subsidized programs in your area, as Warren imagines, the Family Fun Pack expands an institution all Americans are familiar with: public schools. Free child-care centers will care for children aged six months to three years while three to five year olds can attend universal Pre-K. The federal government will fully fund both programs, ensuring equality across the country, but local school districts will administer them. By making the programs free and universal, the Family Fun Pack simplifies decisions, creates a stronger political base of support, and cuts down costs. The Family Fun Pack imagines a world where women are free to make their own choices about work and family. By offering universal paid leave of 36 weeks, the FFP allows parents to decide how to cover the gap between birth and care at childcare centers. This benefit (among others in the plan) is framed as an entitlement for children so that even parents without work history will receive the same benefits as a minimum-wage earner. Leave is split into 18-week chunks if two parents are present. Parents are free to decide if and how long they want to spend at home with their newborn. Parents can elect to transfer up to 14 weeks of leave to their partners. This generally leads women to take more leave than men, reducing their labor participation and activating the “maternity tax” discussed above. Bruenig agrees this is a problem, but argues against heavy handed approaches because it will impoverish children. The way that American gender norms play out in the workplace ensures that some families will need men to return to work to get by—there’s no reason to punish families by slashing a mother’s leave in half. He argues the only moral option is the hard and often nebulous work of changing norms, a process that has taken the form of educational campaigns in other countries. The FFP’s inclusion of wages for home care also reflects its choice-centric model. If parents want to stay home they will receive wages for the first three years of their children’s lives. In Bruenig’s framing, forcing women to return to the labor force after the paid-leave period ends (especially those with low-paying jobs), when they wish to stay home and care for their children does not accomplish feminist goals. Bruenig also highlighted a paradox of feminist campaigns for women’s labor force participation: making women stop caring for their own children to care for others’ children does not achieve gender equality­— especially in our racialized economy where so much of that burden will fall on women of color. And that links to another point, improving jobs in the caring sectors, predominantly filled by women, is key to gender equity. Warren’s plan to boost childcare workers salaries to that of public school teachers will lift millions of women out of poverty and provide a living wage to those doing the critical care-work out of the home. The FFP’s comprehensive plan includes baby boxes (a temporary bed for babies that encourages safe sleeping), free school lunches for all, Medicare for Kids (0-26), and a universal child allowance of $300 a month. A child allowance would lift millions from poverty. It is so effective because today a family is often poor only because they are supporting their children. Additionally, in covering the rest of childcare expenses, it accomplishes one of the FFP’s main goals: truly decoupling decisions about having children from the market. While universal benefits always redistribute between low-incomes and high-incomes, the FFP goes a bit further. For example, it imagines two families with incomes of $80,000. One family has two kids and the other none. Having kids in our current system is effectively a tax on salary, to the tune of $500,000 per child by the time they graduate from college. Under Warren’s plan, and ignoring all other costs beside daycare for a moment, our fictional family with two kids should expect to pay a 7 percent cost (i.e. tax) on daycare. It is only when equalizing across income levels and family size that decisions about whether to have kids, and crucially how many to have, are truly about what families want and not their finances. The Family Fun Pack’s comprehensive design, covering almost all of the expenses of childhood, stems from an equally comprehensive philosophy about supporting families. The opening lines of the FFP take a moral stance unusual in the dry world of think tank reports: "[The] dearth of family benefits," it opens "leads to two cruel outcomes: it denies many people the ability to have the families they want and inflicts financial ruin” on those who do so without adequate support. The same goes for arguments centering children’s quality of life by pointing out that “capitalist economies only provide income to those who work and those who own,” but children do neither. For these reasons we need to view having children as a social good supported by government. This difference of vision perhaps explains why Warren tackles daycare alone but the FFP attempts to cover all the costs of raising kids. One way to get at the meaningful differences between Warren’s plan and this one lies in the name: the Family Fun Pack wants parenting to be fun. When was the last time you heard a politician claim that the government should not just make your life materially better (if they will even concede that) but that it should facilitate the creation of meaningful family life? Warren’s vision, in her child care plan and her other policy plans, is admirable and would help millions of Americans if implemented. But her approach, which turns her expertise on the structural problem in our markets, can be limiting because so much of life’s value exists outside the market. I asked Bruenig if he thought it was important for politicians to develop a more comprehensive theory of how government helps people. He told me politicians must begin telling stories about welfare that move beyond helping the unfortunate. While help for those in need is part of the story, it’s an incomplete picture: retirees receive more benefits than any other group, and kids receive a massive benefit in the form of free education. Bruenig thinks that the argument for social democratic welfare becomes more convincing when it centers on fixing the issues of distribution that affect everyone’s lives, not just the poor. In that light, Warren talking about how welfare would have helped her seems a good step. In general, American lives will improve if politicians think of the benefits of policies in terms of allowing more time with family and friends and in replacing work with leisure.